Mobile phones contain some of the most important evidence in criminal investigations. Law enforcement agencies around the world need every possible advantage to help solve crimes. In many instances, mobile phones contain the important incriminating evidence that legal investigators require to solve a case. MOBILedit! Forensic has changed the way this evidence is obtained and presented. It provides reports with tamper-proof and indisputable evidence in a court of law. This report details out every piece of information in the phone such as call history, list of contacts, messages, photos, voice recordings, video, files calendar, tasks, notes etc. MOBILedit! 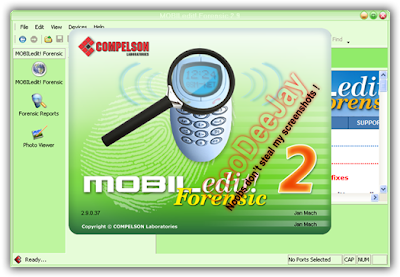 Forensic is a must-have for any forensic agent looking for that extra edge.